Since you all know, I have been sharing nail art done by fans on my Facebook page. This one here is an exception because I asked her to share her nails on my blog. 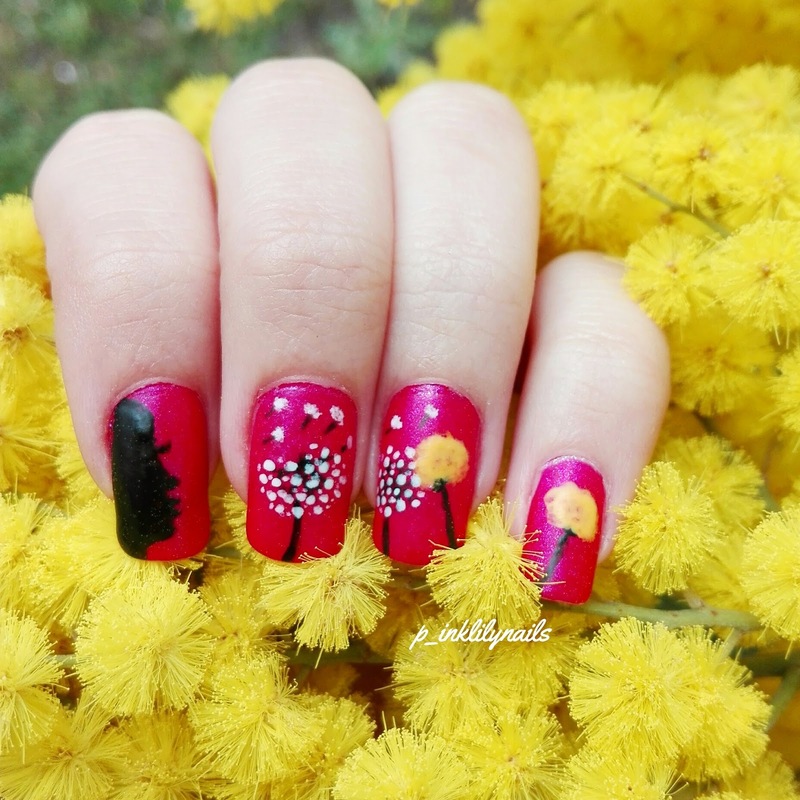 A wonderful nail art lover and nail artist, Martina is just 21 years old. She comes from the land of painters to popes, pasta to polenta, medieval castles to ice-capped mountains. And most importantly, the land of love. Italy is my favorite country, well apart from my own. She is a student of Science of Communication at university, loves belly dancing (Have been doing this for 5 years until now), & she loves reading and cats. 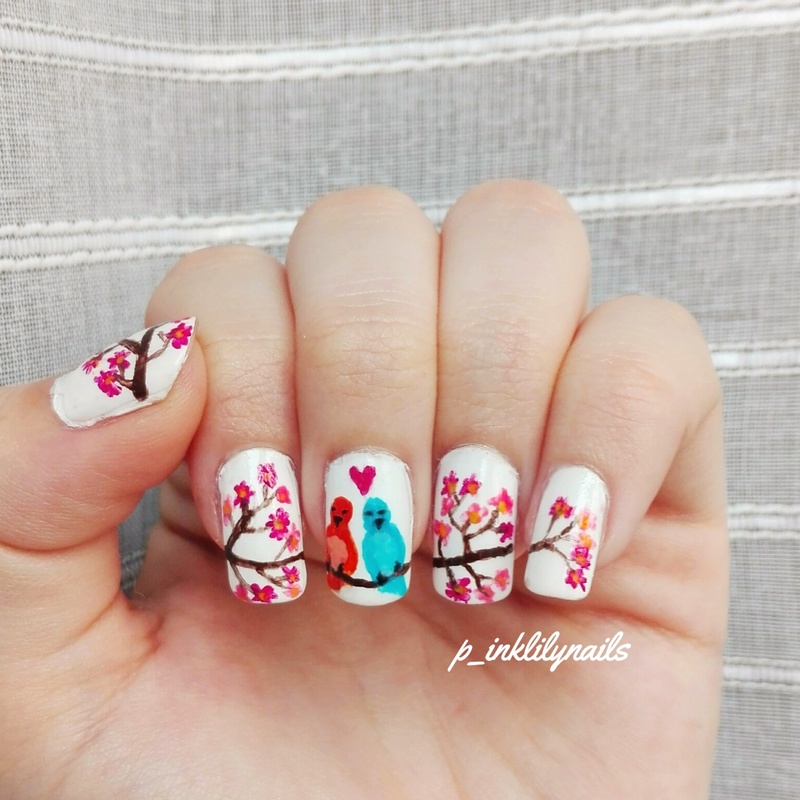 Coming back to nail art, Martina did 3 nail art on spring taking different themes inspired by this season of love. Let's have a look at all of them! Spring and dandelions go hand in hand. Who does not love to blow a dandelion? See how Martina has done it. She loves to do freehand nail art and never uses any stamping or such shortcuts for nail art. I guess coming from the land of painters and artists, she has it in her. Martina never had any professional nail art training. But her nails speak for her talent! Martina says, "I bit my nails until I was 15, but in summer 2009 I stopped and my nails grew sooo long, I really liked them! At first I only painted them with one colour, but just before Christmas I thought "wouldn't be cute to have snowmen on my nails?" And so I painted it! I used my polishes, a cotton swab and a toothpick, but they turned out pretty nice! In 2009 nail art wasn't popular in Italy, so all my classmates at school were so surprised and they loved my mani, that made me happy. 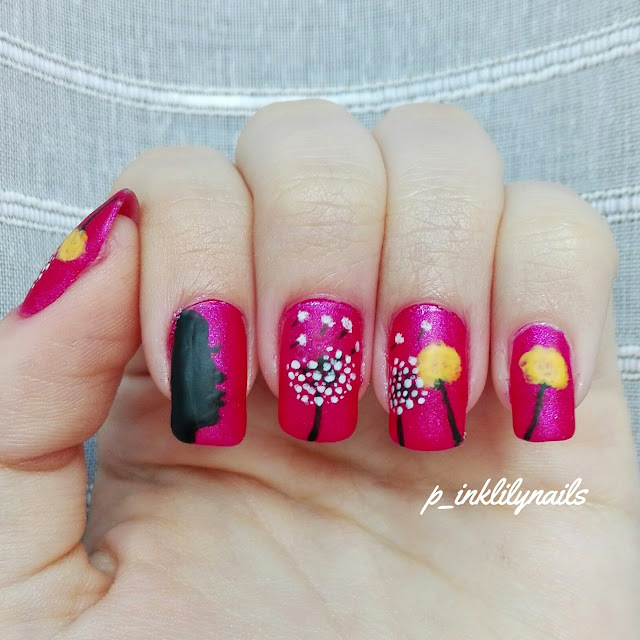 So I continued painting my nails with different designs, at first they were imprecise and simple, but then I started using different techniques and a brush instead of a toothpick and my designs got better. I wish I could be discovered by more people and I hope to improve everyday!" Spring is the only season when you get to see a lot of love birds around. 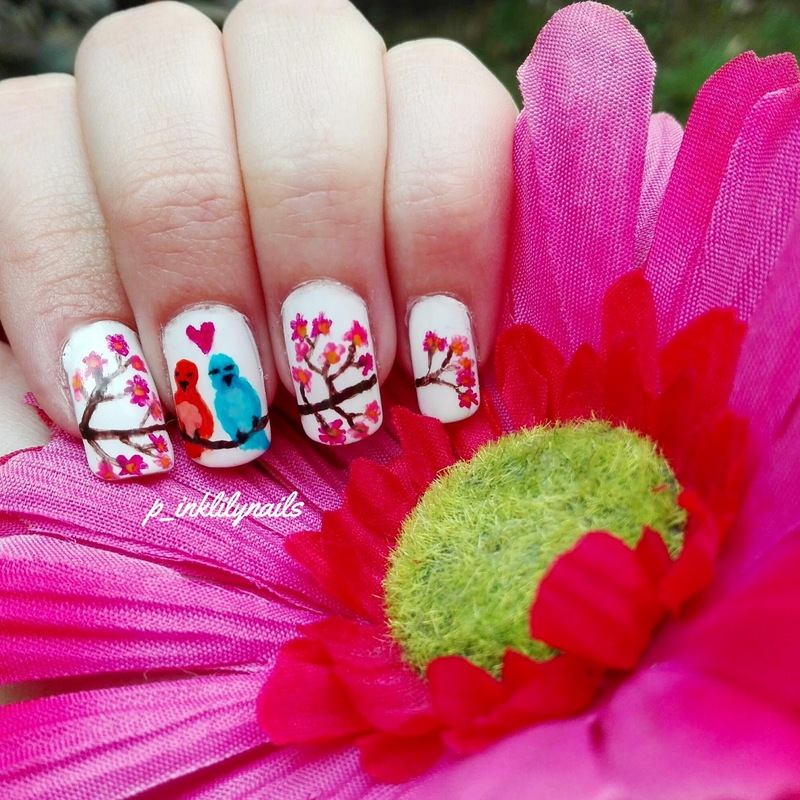 Martina made these love birds look so pretty, making you awwww.... Sitting among cherry blossoms, they look so gorgeous. This one is my favorite one. 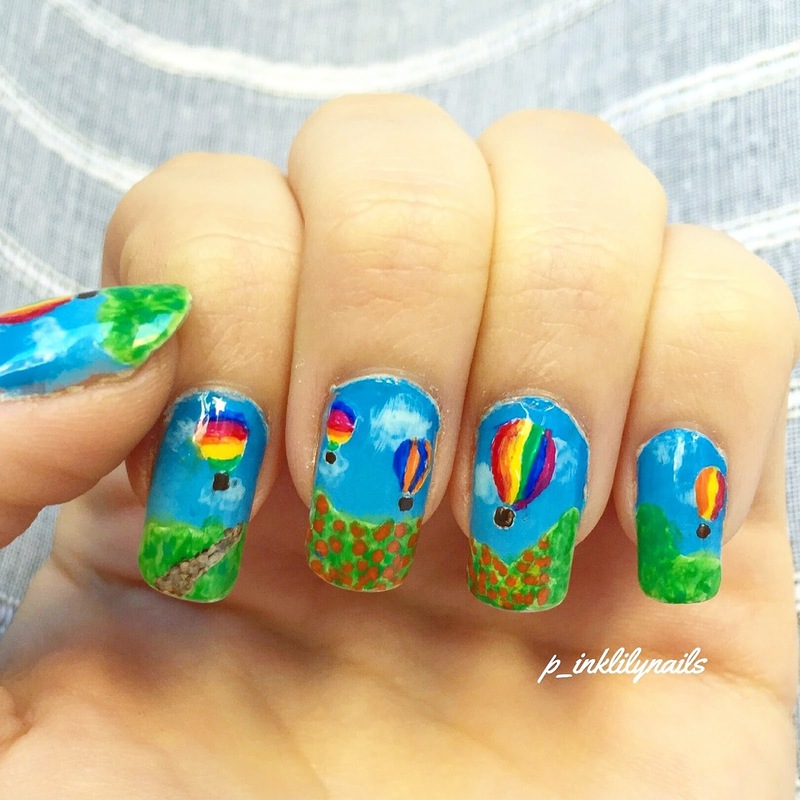 Gorgeous fresh colors, bright colored hot air balloons, scattered around in the sky. She is really good in her freehand nail art and did I told you she can do both her hands! Well, I can't even draw a straight line on my right hand nails. Do share your nails on my blog and Facebook page.